Berlinale 2017 – Golden Bear for EKRAN+ long-time tutor Ildiko Enyedi and the Best Debut Prize for Carla Simon, an EKRAN+ graduate, for her film “Summer 1993” developed at Wajda School! We are proud to inform that Ildiko Enyedi, a brilliant filmmaker and tutor of international training programme EKRAN+ won the Golden Bear Award for Best Film at the 67. Berlin International Film Festival for her film “On Body and Soul”. She was also awarded with the Ecumenical Jury Prize, the FIPRESCI Prize and the “Berliner Morgenpost” Readers Prize. 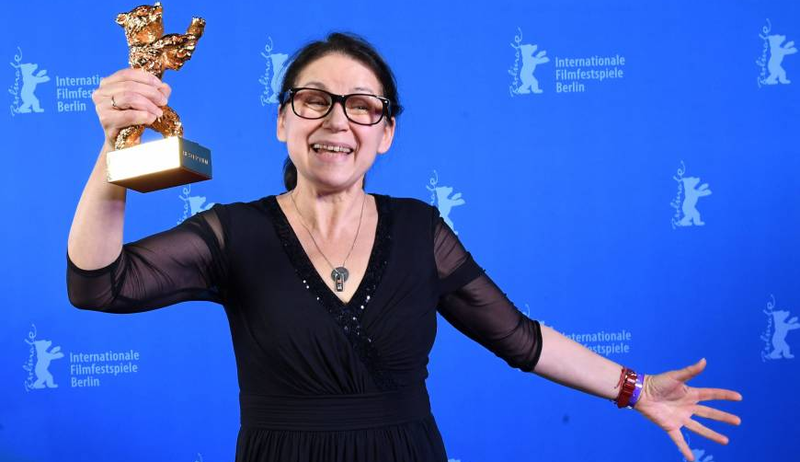 The Silver Bear Award went to Wajda School tutor and long-time friend Agnieszka Holland for her moving drama “Game Count”. The Best Debut Prize went to our graduate Carla Simon for her film “Summer 1993”, which was developed at Wajda School during EKRAN+ 2015. Six-year-old Frida looks on in silence as the last objects from her deceased mother’s apartment are placed in boxes. In a send-off, her friends follow her car on foot waving goodbye. Although her uncle’s family welcomes her with open arms, it’s only very slowly that Frida begins to get used to her new home in the countryside, far away from her native Barcelona. Moments of youthful exuberance give way to ruminative detachment. At night, Frida prays for her mother, who she misses horribly, while during the day she attempts to find her place in this new life. In spite of its summery hues, the serious undertones of this coming of age drama, whose gentle images attempt to come to terms with the consequences of an unpredictable illness, prove to be extraordinarily moving. EKRAN+, organized by Wajda Studio and Wajda School, is a training program focusing on the creative pre-production process based on shooting practice. Deadline for applications is December 1st, 2017. Participation in this program is free. Success at international festivals begins in Wajda Studio’s EKRAN+. During the EUROPEAN TRAINING PROGRAMME EKRAN+ filmmakers work on their first and second draft of the script, bring to life two scenes from the scripts. Those scenes can be treated by participants and their producers as a Demo/Pilot visual material to accompany the script as a part of the Production Package, and to be used in search for financing of the film or be as well treated as a testing material or visual laboratory. EKRAN+ is an effective & flexible development programme. You’ll find a full list of graduates and realizations at www.ekranplus.eu. EKRAN+ supported by Creative Europe MEDIA EU Programme, is a common project of Wajda Studio and Wajda School, FOCAL (Switzerland), Austrian Film Institute, Croatian Audiovisual Fund, Lithuanian Film Centre, with support of Polish Film Institute. EKRAN+ is a 22-day project based professional training programme, primarily designed for directors/writer-directors, focusing on the vision of their future film. This vision is elaborated through the combination of three major elements: the script, the audiovisual components and the collaboration with the other professionals involved in the shooting of the film. EKRAN+ focuses participants on exploring, identifying and refining the tone and visual language of film. EKRAN+ aims at advancing participants’ treatments/scripts and producing two scenes from each script/ treatment. Every participating project is represented by a Creative Team consisting of a director (or writer/director), a writer (or co-writer), a director of photography and producer.